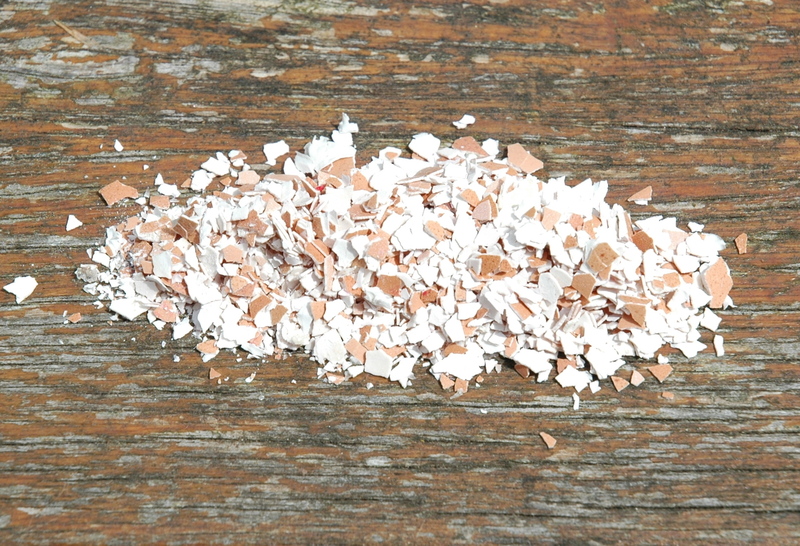 Try using crushed eggshells to prevent snail or slug attack. This method seems to work as hungry gastropods don’t seem to like slithering over the sharp edges. Collect used eggshells over a period of time. Let them air dry for a day or so. Crush them up fairly time, I find a pestle and mortar does the trick best. Put a layer of the crushed eggshell around the base of any plants that are susceptible to slug or snail attack. Don’t forget to put some around the support canes too. Top up the layer of shell after a few days of watering. Great tip, not heard that one before! I’ve also got a great recipe for organic, home-made pesticide that will keep the pests away. Chop marigold leaves and pop them in a bucket with gloves from a few garlic bulbs, a handful of chopped chillies, some wood ash and a sprinkle of baking powder. Oh, and a small chunk of soap – organic of course, if you want organic pesticide. Then cover it with water and pop a lid on top, and after 4 or 5 days you have pesticide ready to add to the soil that won’t harm the plants, but the slugs won’t come near! Very good to know. Snails & slugs do a lot of damage. Only thing that could made them go away from that eggshells is fact that eggs were boiled in very salty water for consume and you used their shells soaked with that salt shells. I am sorry, I am not native English speaker. Wrong use of eggshells may end in opposite effect you wanted to have.